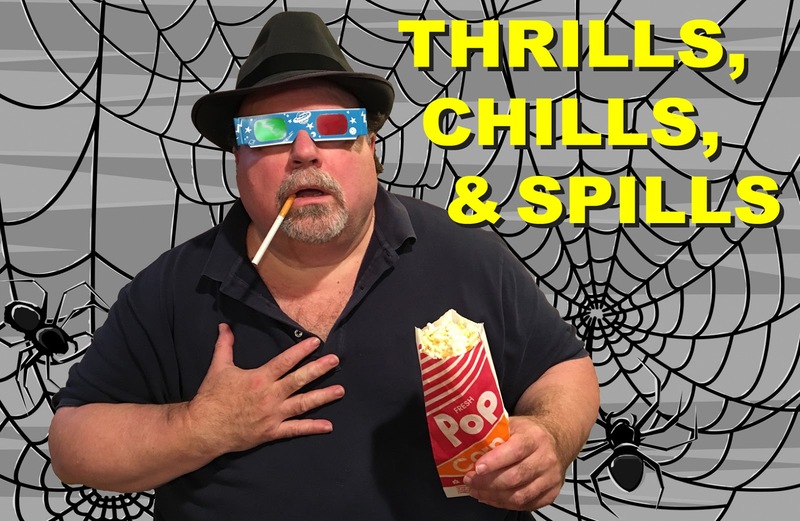 Just in time for Halloween, F-heads, it’s the Blu-ray release of the year! No, I am not exaggerating. 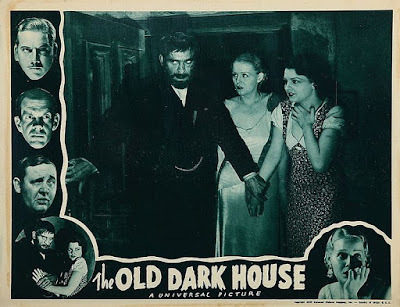 James Whale’s 1932 film The Old Dark House (the once-thought-lost film he originally directed between Frankenstein and The Invisible Man) has never looked particularly good, reflecting its provenance. Whale friend and fan, filmmaker Curtis Harrington, was single-handedly responsible for rescuing the film from oblivion in the 1970s. Universal had allowed the film’s copyright to expire in 1957 and had little interest in its continued commercial success. My understanding is that every home video iteration of The Old Dark House was sourced from this Harrington print… until this one. This is pure speculation on my part, but I believe Universal had something to do with this new release. The studio is thanked on the disc credits. Could the Cohen Film Collection restoration group have persuaded Universal to find and loan them either the original camera negative or an early generation intermediate? How would Cohen have done this—did they appeal to Universal’s interest in history and posterity or did they simply meet Universal’s financial demands? Again, this is all conjecture. Still, there is no denying that this new version of The Old Dark House looks like it was filmed yesterday. The Plot In Brief: Philip and Margaret Waverton (Raymond Massey and Gloria Stuart) are travelling with their friend Roger Penderel (Melvyn Douglas) when a storm forces them to seek shelter in the titular domicile. The house belongs to the weird Femm family: skittish Horace (Ernest Thesiger); abrasive, religious Rebecca (Eva Moore); elderly Roderick (John Dudgeon); and mysterious Saul (Brember Wills). Although Phil and Megs are denied beds for the night, the Femms agree to let them stay and provide a dinner of sorts. Sir William Porterhouse (Charles Laughton, in his film debut) and Gladys Perkins (Lillian Bond) arrive, also seeking shelter from the storm. Our plucky group simply needs to wait out the storm—what could possibly go wrong? Wait a minute—is the Femm’s brutish butler Morgan (Boris Karloff) an alcoholic… and does he have his eyes on Margaret Waverton? Why does the family keep Saul locked in his room? Why is Horace so insistent that everyone should have a potato? (Deep breath.) There… that’s better. Watching and enjoying The Old Dark House makes Whale’s later The Bride of Frankenstein seem like an Old Dark House reunion. Boris Karloff returned in Bride to play the monster and Ernest Thesiger essayed the role of his lifetime in the odd and funny Dr. Pretorius (“Have some gin. It is my only weakness.”) Even Eva Moore returns in Bride, in a bit part as a gypsy hag (“We got no pepper and salt!”). I only wish that Whale favorite Una O’Connor, so memorable and funny in both Bride and The Invisible Man, had been cast in The Old Dark House. I can imagine O’Connor as a memorable Margaret Waverton or Rebecca Femm. Gloria Stuart so impressed Whale as Margaret that he cast her in The Invisible Man the following year. I have read that the audio commentary Gloria Stuart recorded for the original laserdisc release of The Old Dark House was what brought her to the attention of James Cameron, who cast her as “Old Rose” in 1997’s Titanic. I believe it. Gloria Stuart’s character narrates Titanic, and her audio commentary serves as a ninety-minute voice-over audition. As I wrote a scant two weeks ago in my column for Die, Monster, Die!, The Old Dark House is the granddaddy of this particular subgenre. 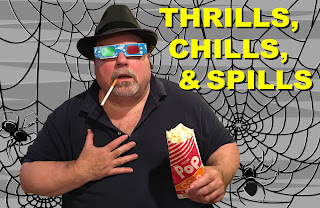 You’ve undoubtedly seen dozens of riffs on this familiar theme: Some people are forced to spend the night in a creepy mansion. (The reasons for this vary, but two favorites are inclement weather and the reading of a will.) Creepy stuff happens, and in the climax we discover the unexpected (or totally expected) source of the creepiness. Sound familiar? Watching The Old Dark House reminds us that even familiar tropes were once fresh. The film hits every important mark associated with the subgenre: it provides an excellent cast at their best; rich, developed characters; a genuine level of creepiness; and a satisfying denouement. 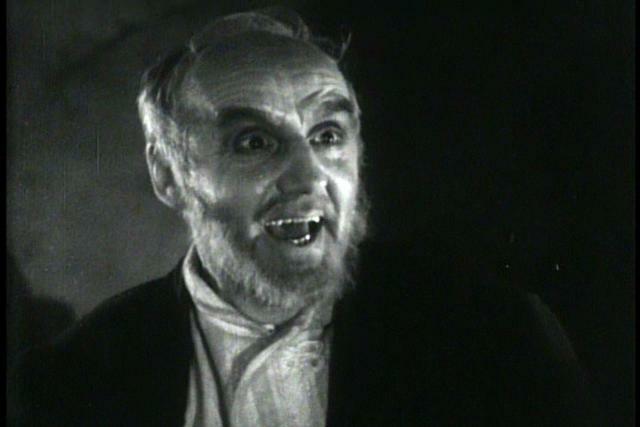 This may be in part because it is based on a novel (1927’s Benighted by J.B. Priestly, who is credited as a writer for the film.) The film’s successful execution is why this plot became an archetype: it’s not responding to conventions, it is creating them. Whale made the film at the top of his creative powers; the string of films he made before and after is unmatched. I think the uniquely powerful alchemy of these factors make The Old Dark House necessary viewing for film fans; this stunning new 4k transfer makes it thoroughly enjoyable. (Thrilling to see this director and this cast at the peak of their talents. (The film drips with atmosphere and suspense, from the sets, costumes, make-up, and lighting to brother Saul’s obsession with candles, butler Morgan’s obsession with Margaret Waverton, and brother Horace’s obsession with starchy root vegetables. By the way! Speaking of stunning 4K transfers, friend of the site Mike Piccoli recently caught the new 4K re-release of the 1968 Night of the Living Dead at the happiest place on Earth, Chicago’s Music Box Theater. Mike reports that it was “the most beautiful thing [he has] ever seen.” This Halloween season has brought with it an embarrassment of riches. Imagine a day when all public domain eyesores are returned to their proper status as art. I have heard a rumor that this new 4K scan of NOTLD is a possible Criterion Blu-ray release next year. Fingers crossed, fellow monster kids. Happy Halloween. It is being shown on Turner Classic Movies at 8:00 tonight. 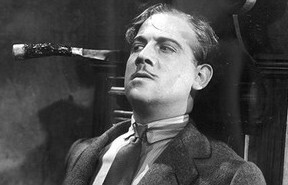 Yes, TCM is showing the new Cohen Media Group transfer of The Old Dark a House as I’m typing this...! I am recording it. Catching up on other films this night. I think you will like it when you get around to watching it. Happy Halloween. THank you so much for putting this on my radar. Sounds like a delight. Ordering now.